What if you could invest your nest egg in a way that honors God and blesses people…without sacrificing investment performance? Great news…now you can. An increasing number of money managers and DIY investors are now taking into consideration moral factors when selecting investments. And so can you. We can avoid passively profiting from objectionable industries and trends like tobacco, abortion, gambling, or human trafficking. We can identify and invest in excellent companies that produce valuable goods and services that make the world better. Every dollar invested is a vote. Every stock we buy, we hope will experience high earnings and increase in value. 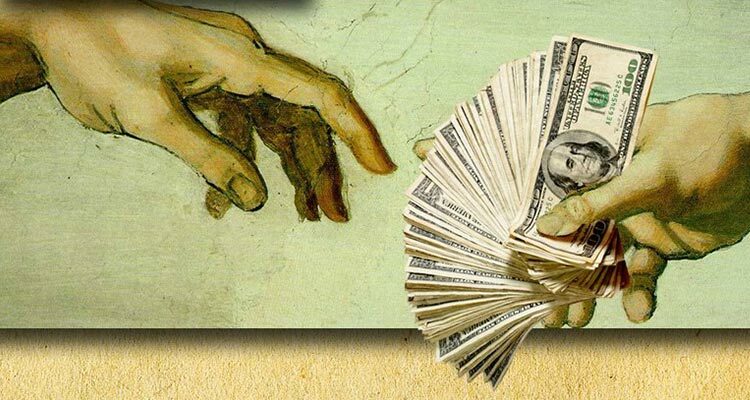 What would God want us to vote for as we manage the money he has entrusted to us? As followers of Jesus, and stewards of God’s money, we have the opportunity to align our investments with our Kingdom values and use our influence for good in a very practical manner. We don’t want to be like those who complain about the state of the world, but then do nothing to change it. Instead, let’s be an army of Believers who put our faith into action in every aspect of life…even our investments. Would you like to learn more about DIY or professionally managed faith-based investing? Contact Rachel using the form below! What's your biggest financial challenge? Does your faith play a role in your financial decisions?